The subway map just doesn’t cut it anymore. Navigating the Big Apple is getting the high-tech treatment, with the MTA calling on geeks to make sense of the city’s subways and buses. Agency officials yesterday — admitting they’re not too tech-savvy — said they want an untapped corps of armchair techies to create new smartphone apps for their often-confused 8.5 million daily riders. To get their keyboards fired up, the MTA released a trove of data to help entrants come up with new ideas — and will offer $15,000 in prizes to creators of the most useful programs. That info includes previously unreleased diagrams of stations — so it will be easier to find station agent booths at deserted G-train stops. Also included is a slew of performance information, allowing riders to look up how often their train is delayed and how frequently it breaks down. Detailed bus maps and elevator and escalator outage information will also become available. 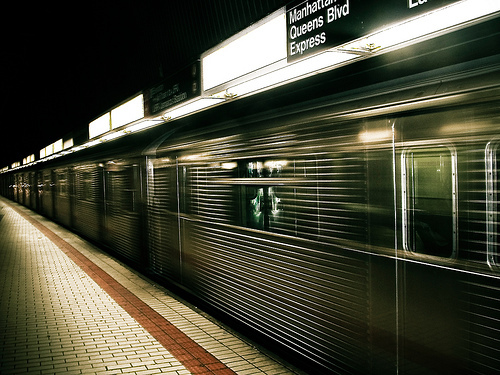 The MTA is turning over the data because the agency isn’t well-equipped to create good apps. “We do have a few [in house] folks working on apps, but this is probably our primary way of encouraging their creation,” said Aaron Donovan, an MTA spokesman. Developers requested the MTA release the data, and it was distributed in special files that are easy for programmers to download. “The average person would have trouble making heads or tails of it [the new data], but an application developer can parse that data and make it into something useful,” said Donovan. Already, there are about 40 apps that crunch MTA data, like some that pinpoint bus locations. But there are plenty more that could become must-haves for New Yorkers. A panel of judges will pick out the grand-prize winner, who will take home $5,000. The riding public will get a chance to vote online for their favorites and pick the second- and third-place winners. Meanwhile, state Sen. Daniel Squadron (D-Brooklyn) is calling on the MTA to conduct an in-depth analysis of L train service. Squadron, whose district is serviced by the L, said he wants the MTA to examine its use of the state-of-the-art robotrains, which run without motormen.